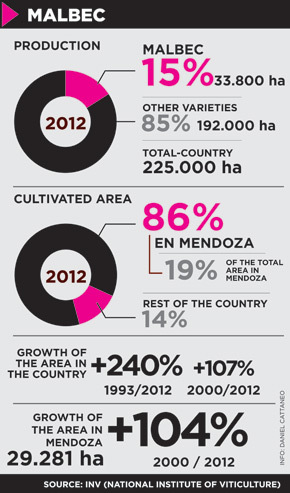 For the third consecutive year, Argentina set off the largest wine celebration in the world. The celebrations organised by Wines of Argentina featured 106 events in 76 cities across 50 countries where the world paid tribute to Argentina’s flagship variety. Wines of Argentina, the organisation responsible for the image of Argentine wine worldwide, hosted Malbec World Day 2013 on April 17. This year, Wines of Argentina decided to highlight the value of this varietal as an artistic and cultural expression, connecting it to the communicative force of street art. Accordingly, artists like Run Don’t Walk, Jaz, Pum Pum, Panama Club, Planeta Cees, Os Clandestinos and Cekis painted wall murals in Mendoza, Sao Paulo, New York and London. Malbec World Day celebrations continue to grow year after year thanks to the hard work of Wines of Argentina, the support of the Ministry of Foreign Affairs and International Trade, and the interest this varietal awakens around the world. 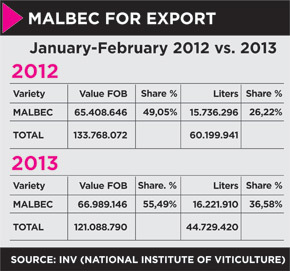 In its third edition, Malbec World Day showed a 40% increase in the number of countries participating in the celebrations, a 70% increase in the number of cities hosting the events and a 48% increase in the number of events that were held. In this year’s edition, more than 1.5 million people joined Malbec World Day celebrations all around the globe. Over 300 Argentine wineries proudly presented their Malbec to a wide variety of audiences. Wineries also participated in communicative initiatives and promoted their own events in celebration of the day. Cambalache, the event that took place in London, invited over 700 attendees to immerse themselves in the culture and spirit of Argentina. In New York, Malbec World Day celebrations took place in three different locations and gathered over 2,000 wine lovers. The celebration of Malbec World Day in Shanghai included two events in the House of Roosevelt and its one-of-a-kind restaurant to pay tribute to Malbec on its day. In Sao Pablo WofA organised two Winebars, two Wine Challenges, one Enoblog, one Instavinhos (on Instagram) and promotions for retailers in the Decanter and Zahil wineries.